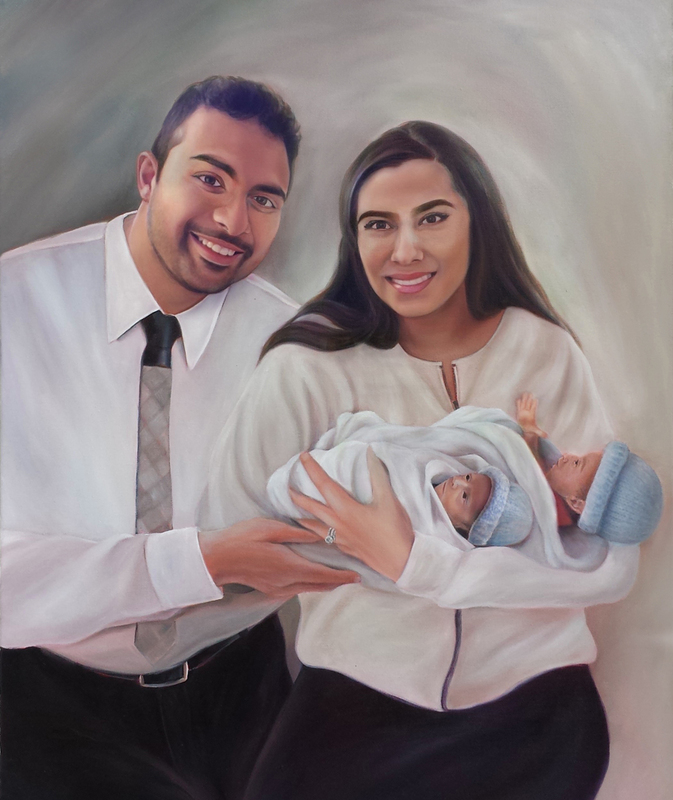 This touching piece was commissioned by a husband for his wife after the loss of one of their twins, one month after they were born. The family did not have any photographs of the babies together so his vision was to create a family portrait. It was a gift for his wife’s birthday, which also fell on Mother’s Day. We were honoured to help this family create such a beautiful memorial of their son. Copyright © 2016 Commission A Painting. All Rights Reserved.